You want to sell furniture, but do not know how to express themselves in a market where so many competitors? One of the ways - to create an online store and untwist it. 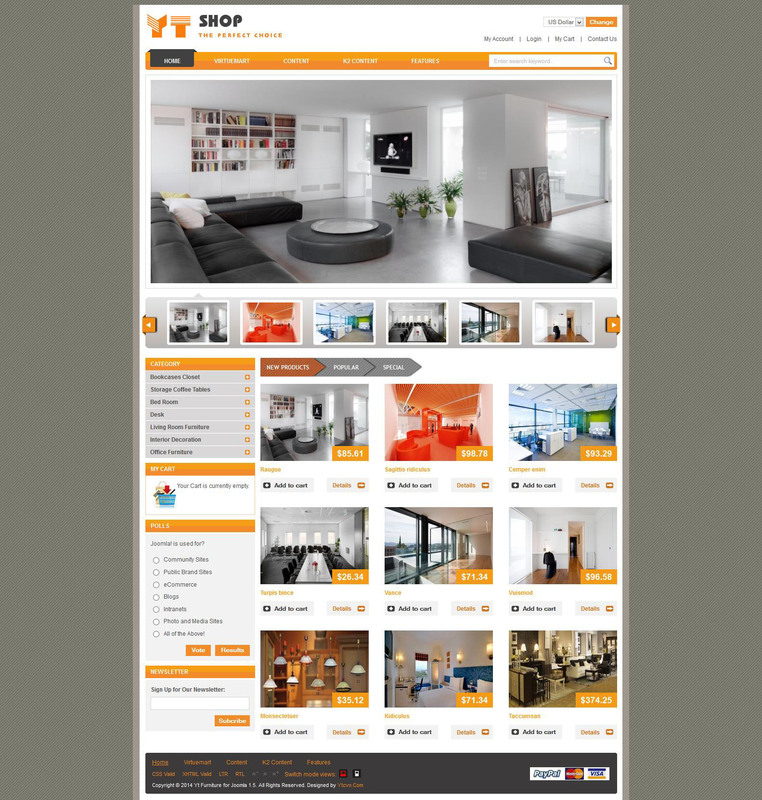 But in some cases, you will not necessarily do that - Yt Furniture perfectly optimized for search engines, make your project a popular - an elegant pattern, made ​​in orange colors, but if you want it easy to change the coloring on the blue or green. Sharpened by the sale of furniture and fittings. Platform serves Yt FrameWork, it provides "shustrosti" and lauded me progruzki optimization. Virtuemart template supports and one of the most popular components - K2, as well as a large field of activity - module positions and styles.